Day 27 started today at 1pm. Great news today, the winds have started to kick in and Sara G is being rowed towards Barbados much faster than the last few days. Click HERE to follow the dot and see how close the crew is getting to Barbados. 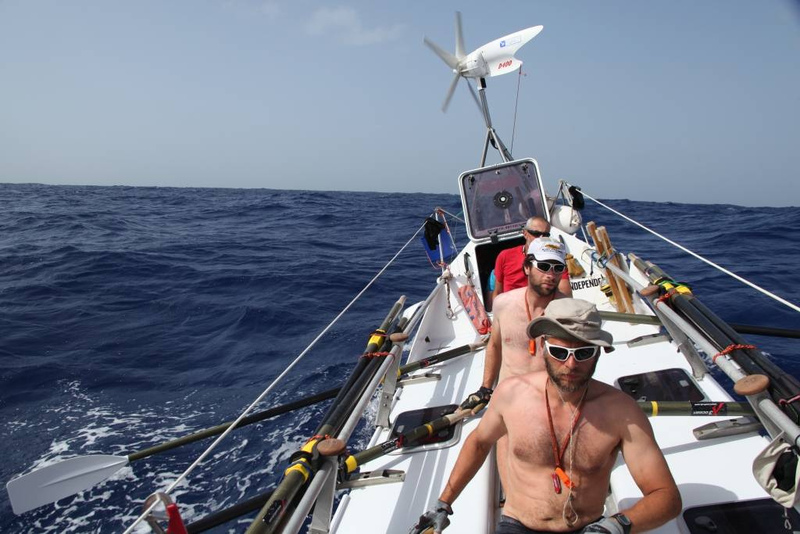 The winds are blowing in the North West direction which causes waves to break over the boat, but that’s probably not the greatest of the crew’s current challenges. Listen to Mark in his 30th pod cast about nappy rash, Caribbean heat and minor concerns about the batteries: http://embed.ipadio.com/embed/v1/embed-352×200.swf?callInView=100309&channelInView=&phlogId=41329&phonecastId=125248.